Featured in Adweek, Right This Minute, and Forbes. Watch it on Facebook or YouTube. ASK: Become the VPN of the masses through scalable social video. STRATEGY: Explain a complex product through a visual concept that grabs viewers' attention. RESULTS: 3.5 Million views across YouTube and Facebook, 2.5:1 ROI on initial ad spend, and 8.5k shares. ASK: Launch a new-to-market, premium beauty product with a scalable social video. 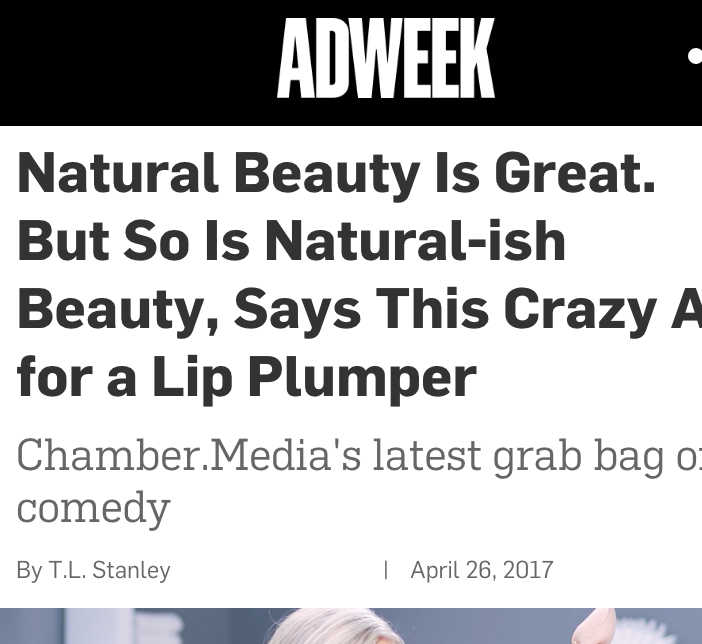 STRATEGY: Integrated 3 very popular beauty influencers (Nicole Arbour, Brandi Marie King, Rosy McMichael) as the main characters, along with Sweet Brown ("ain't nobody got time for dat") to drive organic reach within our target market. STRATEGY: 3.5 Million views in a matter of weeks, 20k+ reactions, and features in The Next Web and Adweek. RESULTS: 145 Million views, 1.5 Million social shares, 2 thousand press features, YouTube's "Most Viral Ad of the Decade"
Want to use influencers to grow your business? We've worked with hundreds of them for dozens of brands. We are masters of integrating influencers creatively into campaigns to ensure you reach your key audiences. Scroll to see some examples. We provided a hand-picked selection of over 50 YouTube and Instagram influencers for Icelandair to choose from in order to promote their Stopover Buddy program. Afterwards, we negotiated free trade deals with influencers from around the world and across a wide span of channel categories. We used 4 YouTube influencers including family, lifestyle, and positive prank channels to drive viewers to ooVoo's robot prank video. Two influencers used ooVoo to hold reverse Q+A sessions with their audiences which also supported app downloads and engagement. Polaroid requested the use of influencers in marketing the Polaroid Cube. We had 10 influencers create custom content using the Cube that was featured on the Polaroid website. 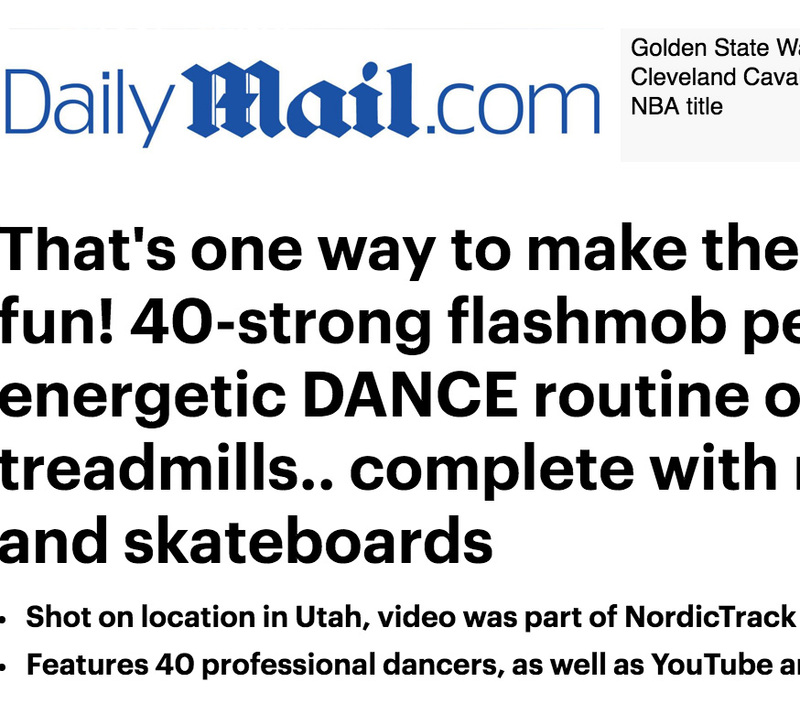 For our second NordicTrack campaign, we wrote, produced, and staffed 7 YouTube influencers to act in the spot about the gym's most recognized stereotypes. Tinkercad, a free, 3D design software, asked us how they could use influencers to drive sign-ups. We worked with 6 popular Minecraft YouTubers to share Tinkercad with their followers. Two of them did dedicated videos explaining how Tinkercad works. We got one of YouTube's most popular tech vloggers to review the Roamio OTA and make a shout-out to the TiVo ad running at the same time. If content is king, then distribution is the beloved queen. We are experts at placing content on social channels that reach target audiences more accurately than anywhere else. If driving sales on social media is your need, then we're your team. Launching product lines with social video and ad buying can have massive results. Results: 150k+ views, 2:1 ROI in first 2 weeks. Brand awareness ads can also drive conversions (which can make your marketing budget unlimited). YouTube Ads can drive ROI positive conversions for crowd funding. Press seeding can lead to 400% earned media with unpaid/organic views. YouTube ads can lift retail traffic while driving conversions and earned media. Small budgets can go a long way when uploading tv spots on YouTube. It’s been my experience that 90% of consultants aren’t that good at all. They often over promise and under deliver, that’s not the case with team at Chamber. Is a scalable social video right for your brand? We're looking for an experienced Senior Ad Buyer who has run multiple ad accounts accounting for hundreds of thousands of dollars in ad spend. You must have deep expertise in either Facebook or YouTube ad buying. We're looking for someone who loves optimizing, studying the algorithm pro-actively finding new ways to scale campaigns, who has a deep sense of empathy and understanding of how people communicate and make purchasing decisions. A plus is having tertiary or better working knowledge of one or more skill sets in ad buying via Search, Amazon, Native, or experience in SEO, CRO, front end development. Send a link to your portfolio and LinkedIn (or resume) to stefan@chamber.media to apply.